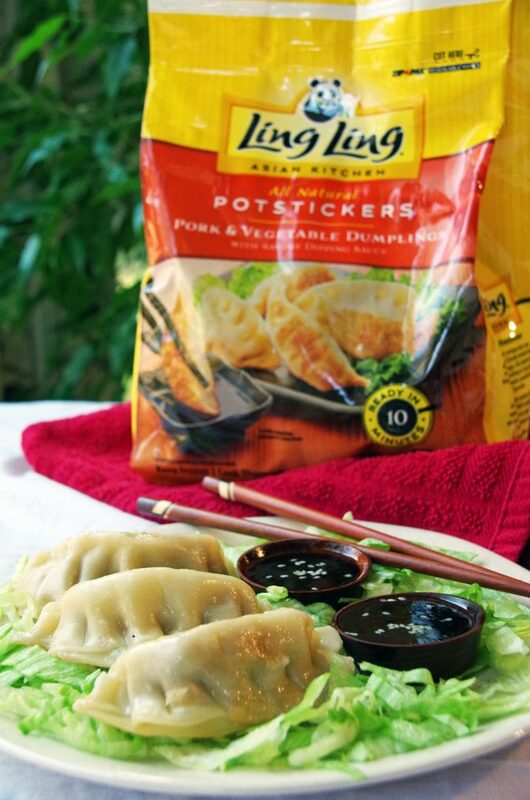 This easy potsticker dipping sauce was sponsored by Ling Ling. All opinions expressed in my post are my own. I grew up in a rather small town in New England. There was not a lot of exciting food options available and I didn’t even try potstickers until I moved to Houston after college. Today, I can honestly say that they are an all time favorite in my house. 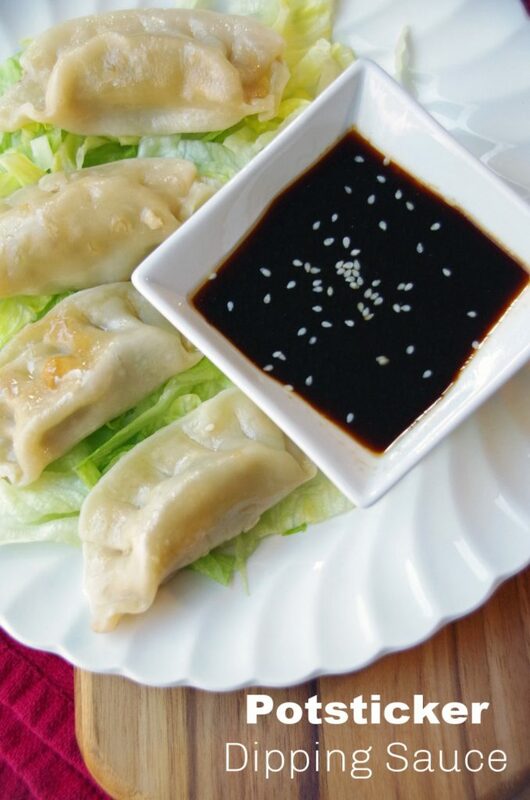 I make an easy potsticker dipping sauce to go with them and they are always a hit with the family. With Chinese New Year coming up soon, I thought I would share my soy dipping sauce recipe. 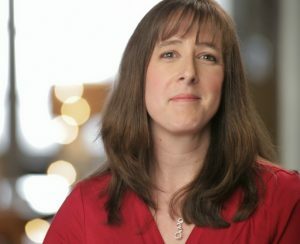 I really encourage you to try Ling Ling potstickers and a few of these popular Chinese New Year activities with your own family! Sweeping the House. Up until Chinese New Years Eve (this year February 5th), people traditionally sweep the house. This helps sweep out the bad luck before the new year starts. New Year Shopping. People often buy new clothes, red decorations, snacks (like candy, mandarin oranges and sunflower seeds), and Chinese firecrackers. Having a Reunion Dinner. Families travel far and wide to celebrate together. Exchanging Red Envelopes. This is usually a monetary gift from parents, grandparents and other relatives. Setting off Firecrackers. Usually, people stay up until midnight and set off firecrackers to mark the New Year’s arrival and to scare away evil spirits. Eating Dumplings. Dumplings represent reunion, harmony and wealth in Chinese culture. I have tried making them from scratch and I can tell you it’s a LOT of work! I was so thrilled with the pork and vegetable Ling Ling potstickers we tried this week that I will definitely never tackle them from scratch again! 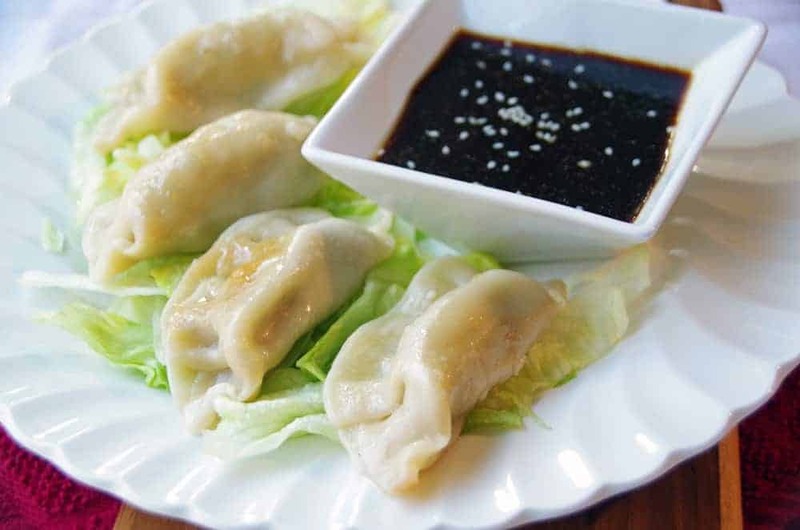 They come with their own sauce but since we love it so much, I make an easy potsticker dipping sauce to go with them. The Chinese have been enjoying potstickers for a REALLY long time! 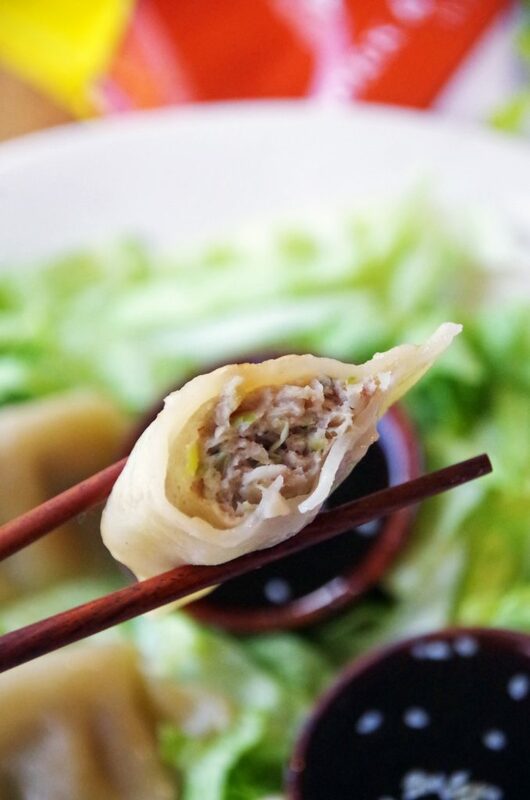 They are made with minced meat and vegetables wrapped in a dumpling skin. Minced pork, fish, diced shrimp, tofu and vegetables are the most popular fillings. Typically, they are are steamed on one side, pan-fried on the other. We have been eating them for years and it is a simple weeknight meal that we all love. Ling Ling potstickers come in several varieties. You can choose Chicken & Vegetable, Pork & Vegetable, or Vegetable fillings. They are bursting with authentic Asian flavor and contain only high quality, clean ingredients. Ling Ling potstickers also come with their own dipping sauce, although we go through a lot of it so I always make extra. Since this easy potsticker dipping sauce takes only a few minutes to make, I keep all the ingredients in the pantry and make it regularly. 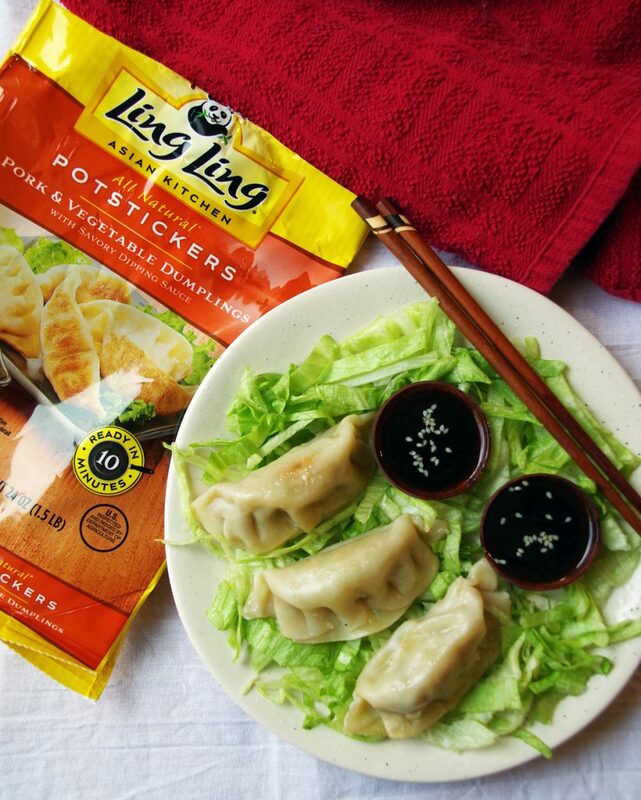 Ling Ling potstickers are incredibly easy to make. If you are looking for only one or two popular Chinese New Year activities, I definitely recommend making potstickers. They are convenient to find, easy to make, and delicious to eat! And since the bag is a good size, you can feed several people with them. If you want to make this easy potsticker dipping sauce, you need only a few simple ingredients. Just whisk together the soy sauce, water, rice wine vinegar, sesame oil, and a hint of sriracha sauce. Adjust the amount of sriracha depending on how spicy you want your soy potsticker sauce. Then, sprinkle a few sesame seeds on top and you are ready for dipping! 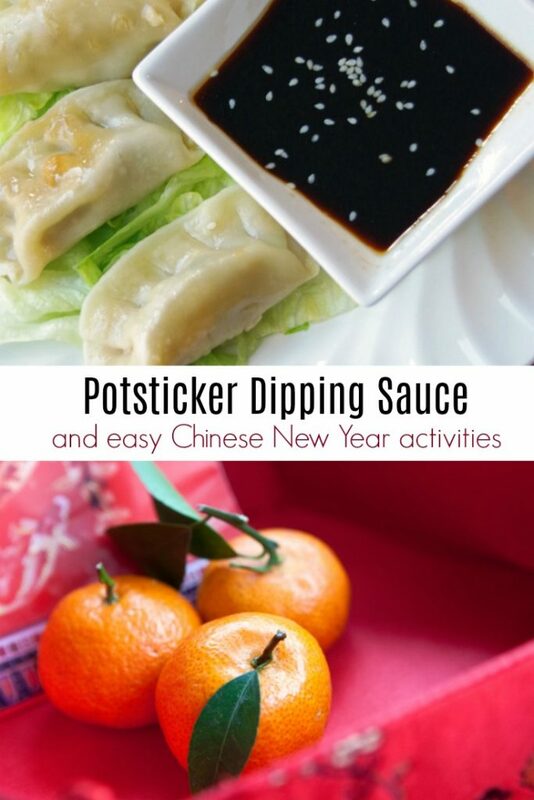 Potstickers are a delicious meal, especially if you are looking for popular Chinese New Year activities. Make this easy potsticker dipping sauce with it! Mix soy sauce, water, rice wine vinegar, sesame oil, and sriracha in a small bowl with a fork or small whisk.